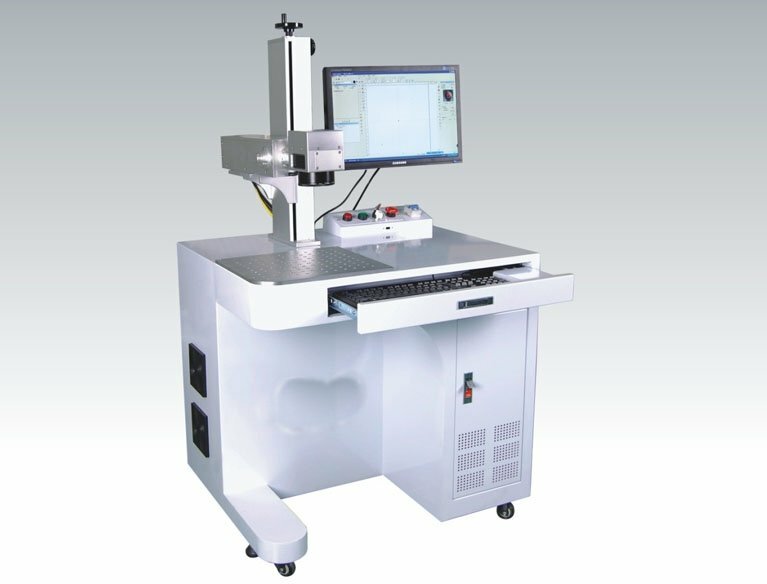 The fiber laser marking system has an integrated design and the fiber transmission, which can be easy to integrate to the industrial production process. The laser can be directly controlled by the control interface (USB), with no consumable materials which greatly reduce the product cost. Compared with the conventional laser, this laser has high efficiency, long life, maintenance-free and other performance, which is one of successful example after the collaboration of AoHua Laser and Germany Laser Corporation. Wide application, especially applicable to the marking and engraving for hardware tools, cutters, kitchenware, plastic products, computer keyboards, metal jewelries, buttons, integrated circuits, packaging bottles, glasses frames, plumbing fittings, taps, etc. 5, Long service life: is 10 times more than traditional products. 6, Permanent: The vector graphics by the way of digital image processing, will not fade away by friction. 7, Environmental protection: no need to ink.